"Homeland” makes its triumphant return after winning six Emmy® Awards, including Outstanding Lead Actress for Claire Danes, Outstanding Lead Actor for Damian Lewis and Outstanding Drama Series. Marine Sgt. Nicholas Brody (Lewis) is now a U.S. congressman, and former CIA agent Carrie Mathison (Danes) has returned to civilian life. But when a new and potentially devastating terrorist threat emerges, Brody and Carrie's lives become intertwined once again and they resume their delicate dance of suspicion, deceit and desire. Delve deeper into the edge-of-your-seat excitement with the thrilling second season of this "unmissable and gloriously suspenseful" (USA Today) hit show. I had heard of this show before but never had the chance to watch it. I do not often watch shows like this but I am so glad I got to review Homeland The Complete Second Season because I loved every single minutes. It is a fantastic show with action in every episodes. I swear once one episode was over I couldn't wait to watch the next one so I turned it into a marathon and pretty much watched the entire series in one day. I liked the show so much that I put season one on my list of tv shows on DVD/Blu-ray to buy. I highly recommend this show to all who loves this genre of shows. 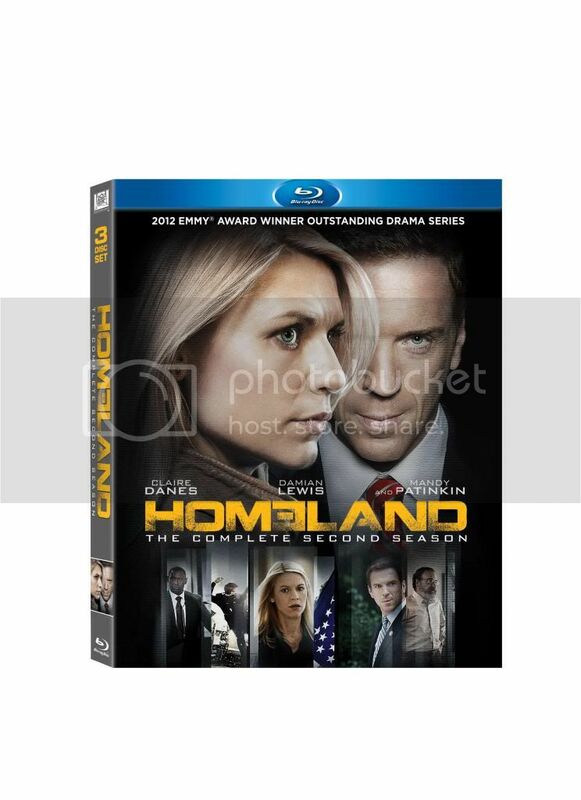 Homeland season 2 is now available in store.